The Racor RK15405 is a clear replacement bowl for the Racor 500FG series. 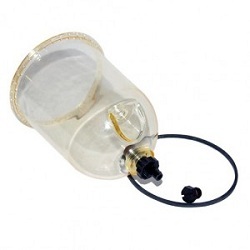 Included with this purchase is the clear bowl, drain plug, sensor screw cap, and seals. Product description found on the Racor-Parker website. Click here to vie the product page.